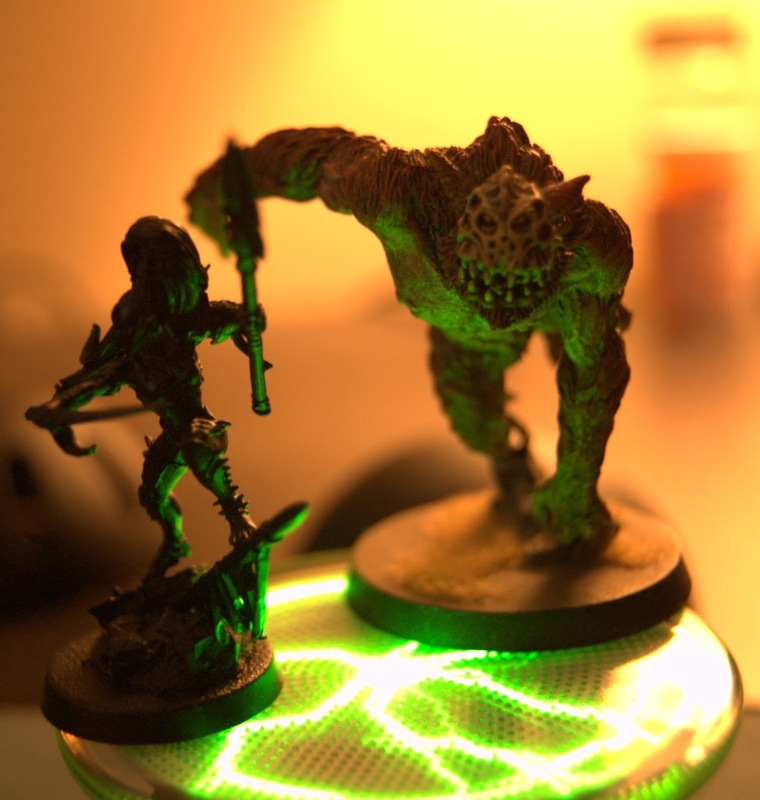 Those little tin buggers don't light up! And, big surprise, they would have cost more. You can see in the background where I started to make my own portals based on this handy guide by Ron over on FTW, but I really wanted something with some lighted effects. 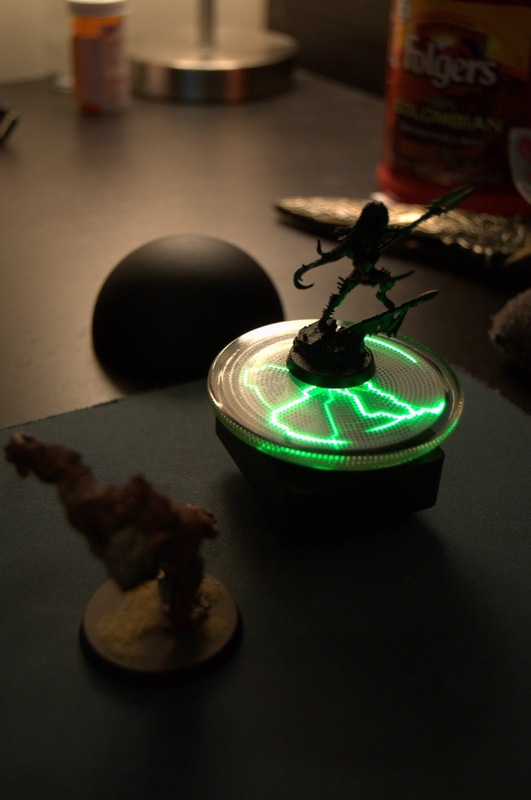 Then, the other day I was perusing through some pictures from this year's Adepticon and came across an awesome Dark Eldar display board that utilized one of those Spencer's electron spheres as the center piece acting as a large webway. Great idea I thought, so I began searching for something similar but on a smaller scale that would match the actual size and diameter of the official WWP. I don't think they make electron spheres small enough that can be used in game, but the search did yield these pocket plasma's which work perfectly in terms of height and diameter. Plus they look awesome! 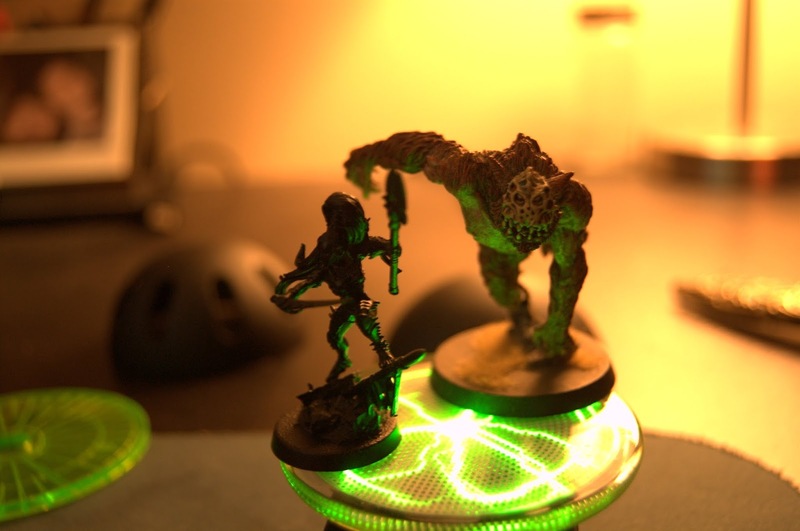 If what's coming out of the portal doesn't distract you (5x Beastmasters and 25x Khymera... just wait, you'll see) the pretty lights will! That looks awesome. I can't wait to see it on the table. Your snappy sharkskin suit, slim tie, fitted dress shirt and custom webway portals have lead this post to being featured on my weekly themed top x. Congrats on doing it your way.